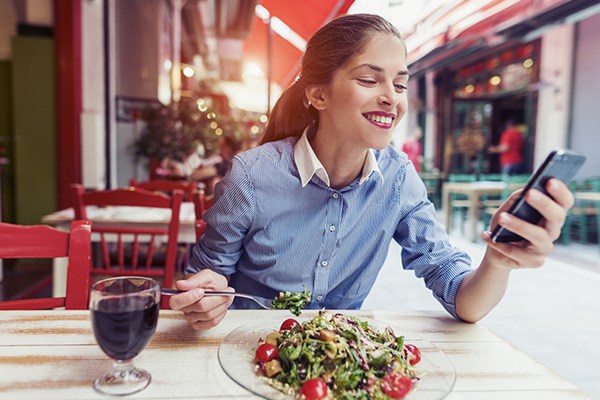 SMS might seem like a straightforward marketing channel. But blasting your audience with the wrong text messages can produce massive unsubscribe rates. And not messaging your contacts enough can curb your results. Like any successful marketing campaign, SMS marketing is strategic. It needs to be thoughtful, well-executed and provide value to today’s savvy consumers to stand out in the barrage of messages they receive daily. In advance of the 4th of July holiday, CallFire’s Austin outpost had an exciting new beginning in a big new location! 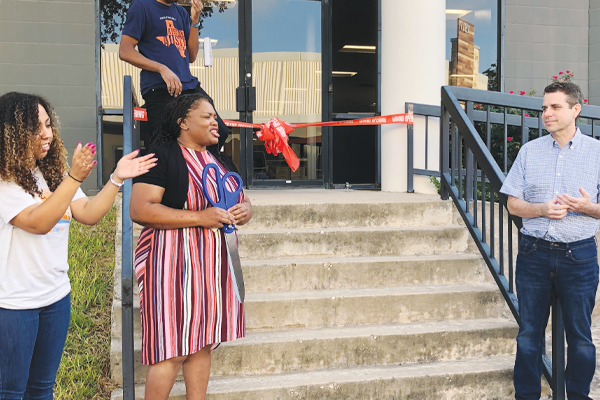 The team celebrated with ribbon cutting ceremony, a mariachi band, and cheery balloons place throughout the new space. What exactly is blockchain? Maybe you’ve heard of blockchain, but you probably still have many questions! What is it? What does it do? How does blockchain connect with the telecom industry? It’s becoming easier and easier to advertise products through email, social media, and texting, but this also means that markets are more competitive than ever when it comes to maintaining subscribers and getting your message out there. Automated text messages are a great way to reach your audience and to drive sales through the roof. More personalized than TV and radio advertisements, mass texting is a great way to communicate directly with your customers. CallFire is one of the dog-friendliest offices you’ll find in Silicon Beach. This June we upped the ante with an entire afternoon devoted to our favorite four-legged friends. 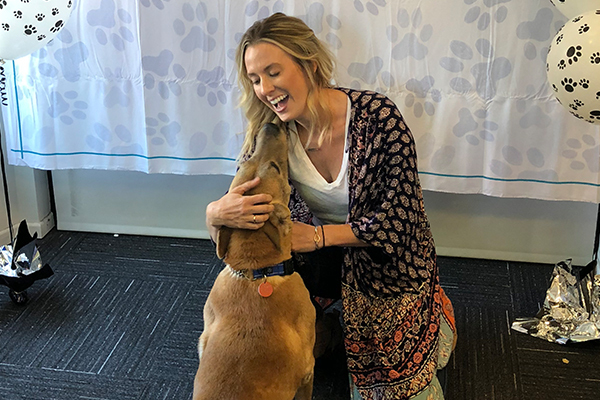 CallFire hosted Wags & Walks, a rapidly growing dog rescue organization in Los Angeles, with a special celebration in its Santa Monica office. Read more about CallFire Employees Paw-ty with Dogs from Wags & Walks! Thanks to the marketing mavens at Situation, MEAN GIRLS had a memorable engagement at BroadwayCon this year. To raise awareness for the fetch new musical, Situation used CallFire to power a clever phone marketing campaign. At CallFire we don’t clown around, except when it’s for a good cause! Red Nose Day is a yearly event that raises awareness and funds to help combat childhood poverty. It’s also a fun and funny way to show you care! This year CallFire enthusiastically participated, purchasing red noses in support of the charity and we certainly wore our red noses with pride. Our Austin, TX office got the day rolling with unique ways to rock their noses. The Santa Monica, CA office was ready to join in the fun too! Mass texting is a fantastic way to get the word out about your promotions. After all, with an open rate of 98% you can be pretty sure your message will be read. But what’s the best kind of offer to send? Here are 4 example of effective promotions to send via text. Read more about What are the Most Effective Text Marketing Promotions?